Always on the leading edge of advancements in beauty, Perfections is the only salon where you can get the Rolls Royce of haircuts: the Kenneth Dry Cut passed down by our founder, Kenneth R. Collopy. 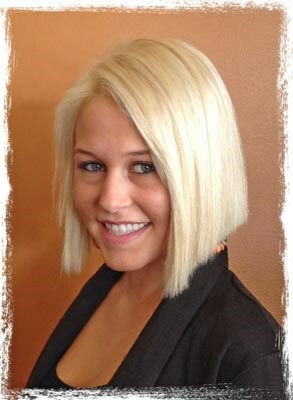 Perfections is the first salon to bring dry haircutting to Cincinnati. We are the only Cincinnati salon specializing in the most advanced cutting method available today to create sculptured hairstyles that move with a sensual, fluid motion: the Kenneth Cut. We believe in health before beauty. Beauty begins with health. We do not believe in beauty at any cost! Always ask a lot of questions before undergoing a new or questionable service. At the very least, if you have concerns, ask for a copy of the MSDS on any product to be used on your scalp, hair or skin. (Materials Safety Data Sheet) All salons and spas by law must have an MSDS on every product to be used on you! Why not try a sample? Come on in and browse... our Beauty Boutique carries a variety of professional hair care lines to give you the widest selection possible to solve your hair concerns. We can special order most any professional product you want that we do not carry. Stop by to SAMPLE US! We will provide samples (if we're able to) of products you'd like to try. That way, to see if you like them, you can try them out BEFORE you spend money. However, should you decide to purchase a hair product, accessory or styling tool and find it does not work for you, you are welcome to return it with your receipt for a full refund. We're here to help you find real solutions.